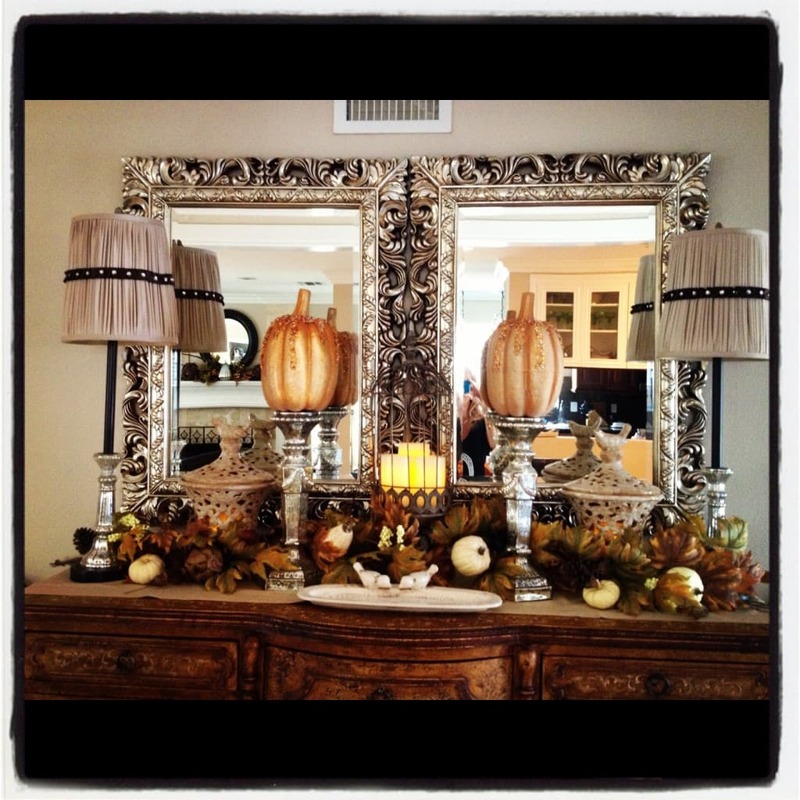 Decorating for Fall – Inspiration From a Decorator! 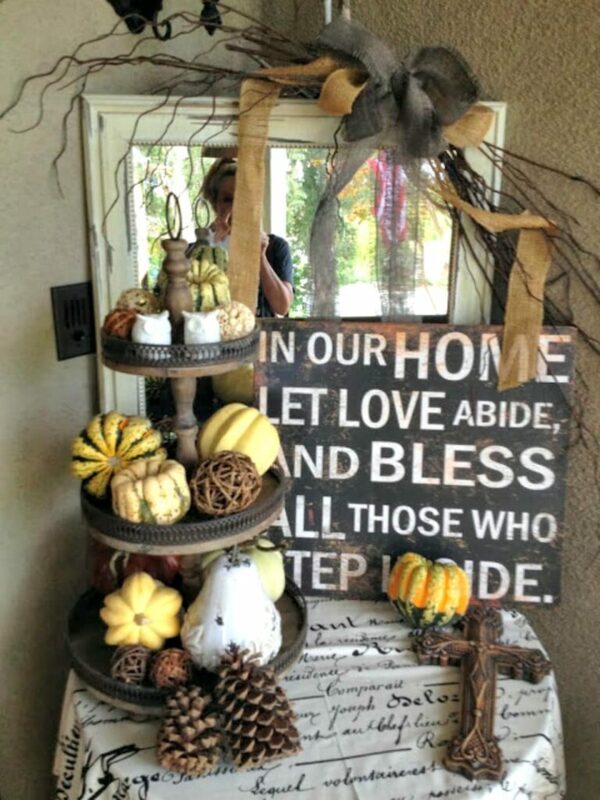 This is a great time to some decorating for fall. My clever friend Mindy, from Mindy Laven Interiors is a master at using neutral colors to make a big impact. Having a decorator for a friend means getting your home spiffed up and rearranged with every visit. You can often find the two of us digging around a Goodwill store, or a garage sale. Combine like items in a close knit arrangement, don’t spread them out all over the house. Vary height and depth and don’t decorate in a straight line. Invest in a few accessories that can be reused for each holiday such as candlesticks, trays, and cake stands to use for height. 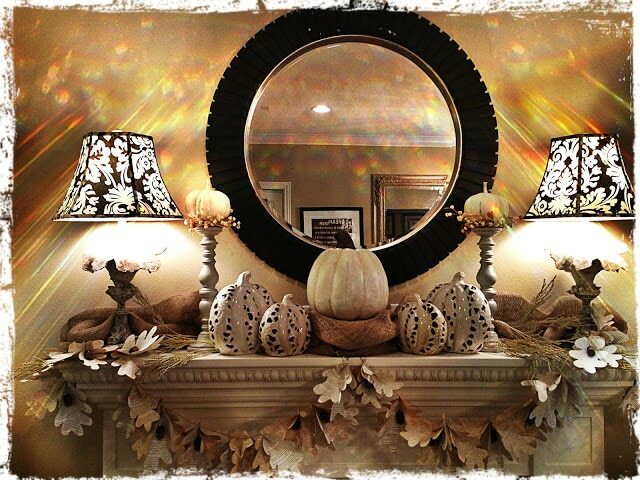 Here are a few more fall decorating ideas from Mindy. Be sure and stop by her lovely blog and get inspired! She has an eye for transforming the ordinary into something that looks extraordinary, don’t you agree? Don’t forget the first impression your visitors get at your front door! One other tip, when you finish decorating, take a photo so you can refer back to it for next year! Can you spot her in the mirror?